Writers are people. They make mistakes. I remember reading that in A Song of Ice and Fire there was a moment where the color of the horse changes between books. Fans were speculating, people tried to find ‘hints,’ there had to be a switch, maybe the rider was really somewhere else– what could it possibly mean!? It meant George R. R. Martin forgot the color of the horse between writing the two books. I wrote Larkspur a while ago. And as I keep finding out, stories change in the telling. I reference Larkspur a lot, but there are things that I wrote in the first book that are no longer true in the second. Not because I go out of my way to do something different, it just feels… like what I said before was wrong. Thankfully characters are people too. Or good ones should be. 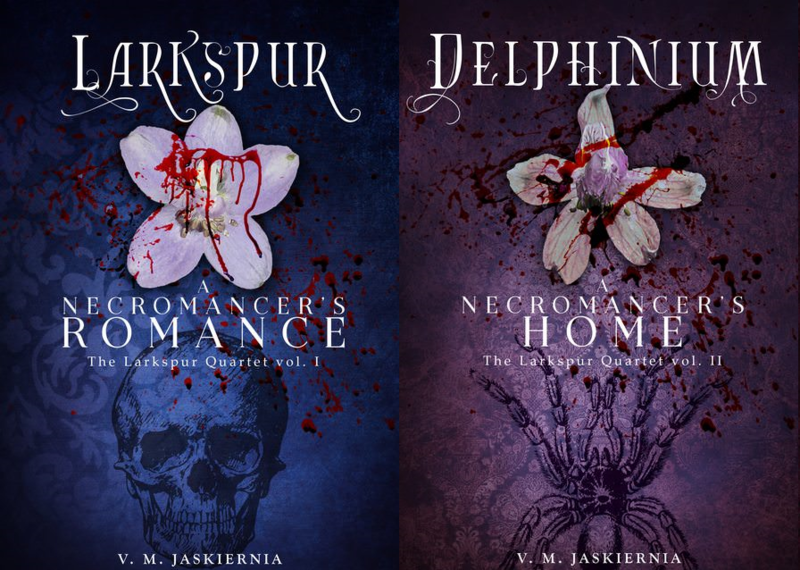 And so what Pierre may have thought in Larkspur was what I thought, and he and I can both find out that it was sort of wrong in Delphinium.